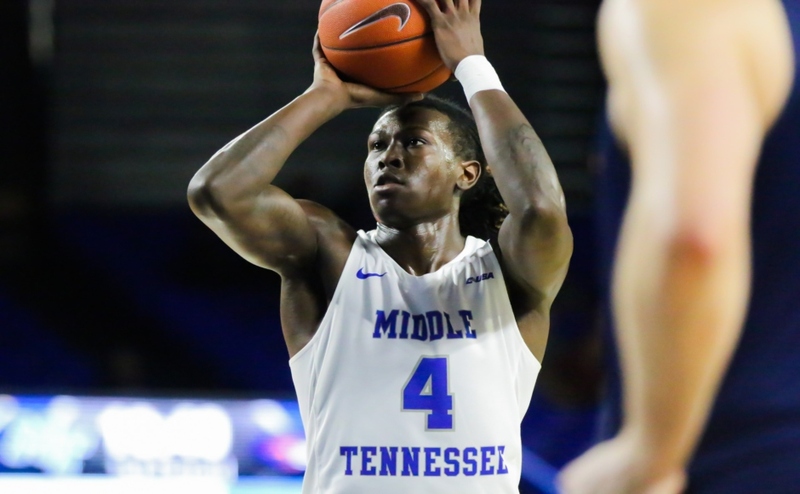 After a two-game road stretch, the Middle Tennessee Blue Raiders (15-5, 7-1) started their Murphy Center homestand Thursday with a 75-51 win over the University of Texas-San Antonio Roadrunners (10-11, 3-5). 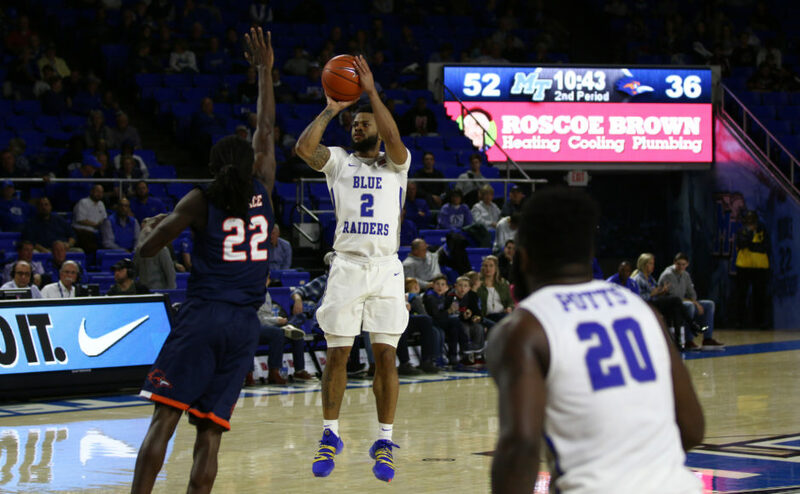 The Blue Raiders came into this game tied for first place in C-USA and were riding high after a big win at Western Kentucky on Saturday, while UTSA was searching for a statement win that could turn their season around. The first half opened with both teams letting it fly from deep. UTSA guard Deon Lyle came off the bench to knock down two back-to-back threes to give the Roadrunners a 14-11 lead with 12:23 left in the first half. 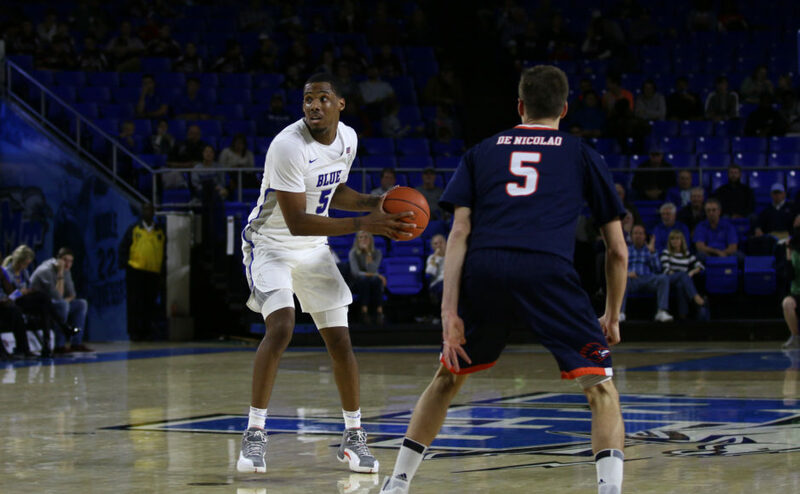 MTSU then went on a 12-4 run sparked by reserves Ed Simpson and James Hawthorne. During that stretch, Middle knocked down four of their five shots from the field to take a 23-18 lead. Sophomore Tyrik Dixon ended the opening act on a good note when he nailed a three to put the home team up eight going into the half. 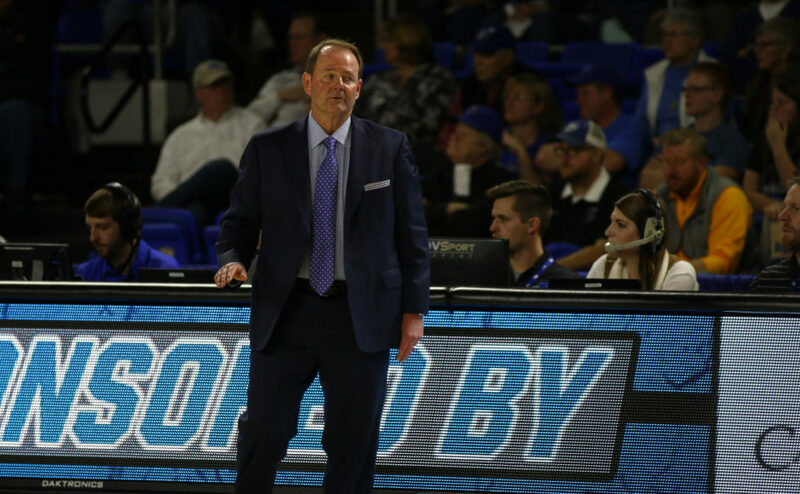 Despite being ahead on the scoreboard, head coach Kermit Davis didn’t like how his team finished the first half. “We got a little stagnant offensively in the last 10 minutes of the first half,” Davis said. Throughout the first half, senior Nick King was solid as usual. He finished the stanza with 12 points on 5-7 shooting. 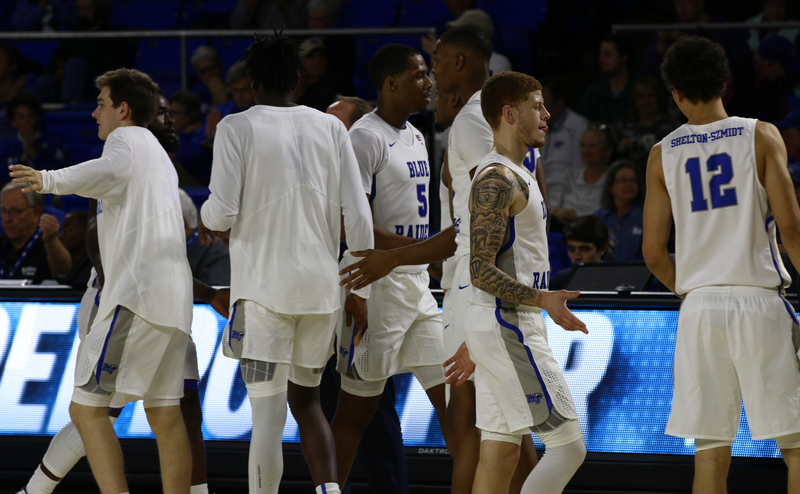 The Blue Raiders jumped out to a 13-point advantage in the second frame, but the Roadrunners quickly cut that lead to eight. 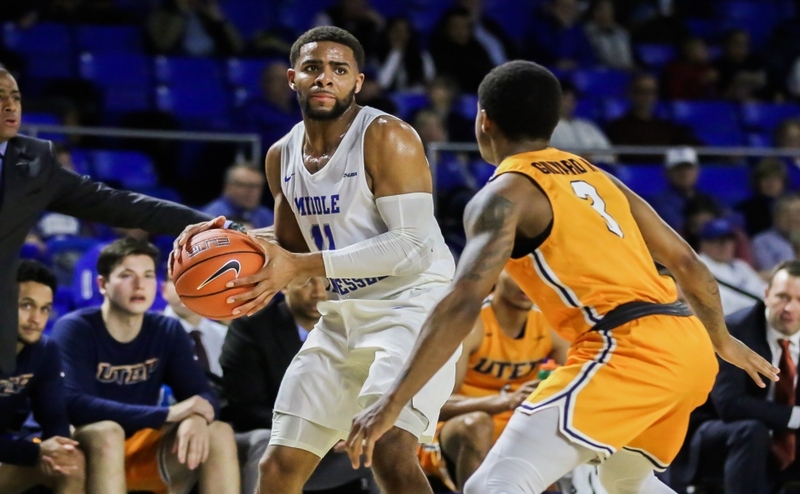 After allowing UTSA to get back into the game, Middle Tennessee went into defensive-lockdown mode. 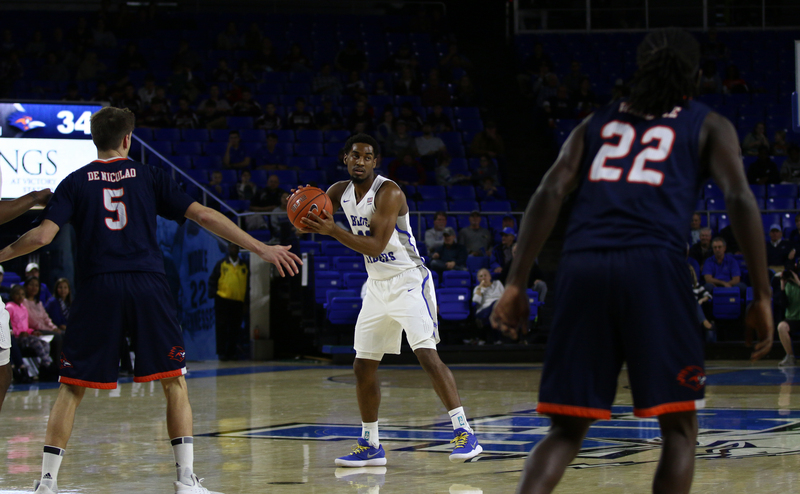 Over the next five minutes, MT held the Roadrunners scoreless while the offense got into gear. 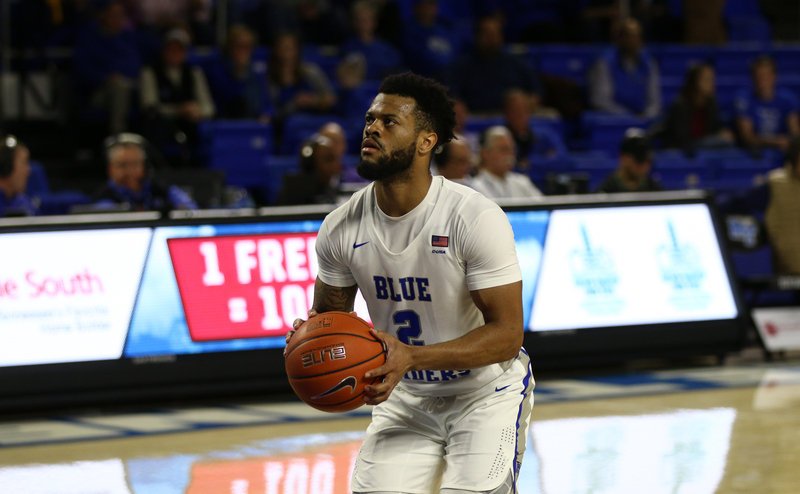 A technical foul on Jhivvan Jackson was all the Blue Raiders needed to go on a run and put the game out of reach. 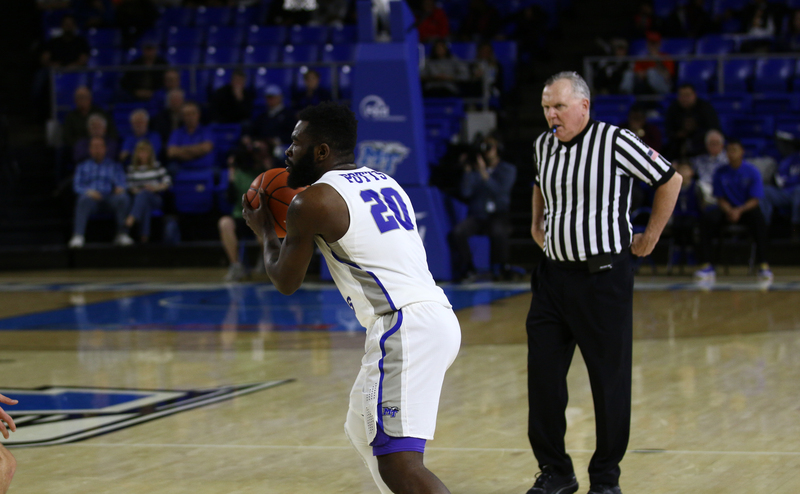 After sinking the two free throws, Antwain Johnson knocked down his third three-pointer of the game to put MT up 52-36 with 11:13 left in the game. 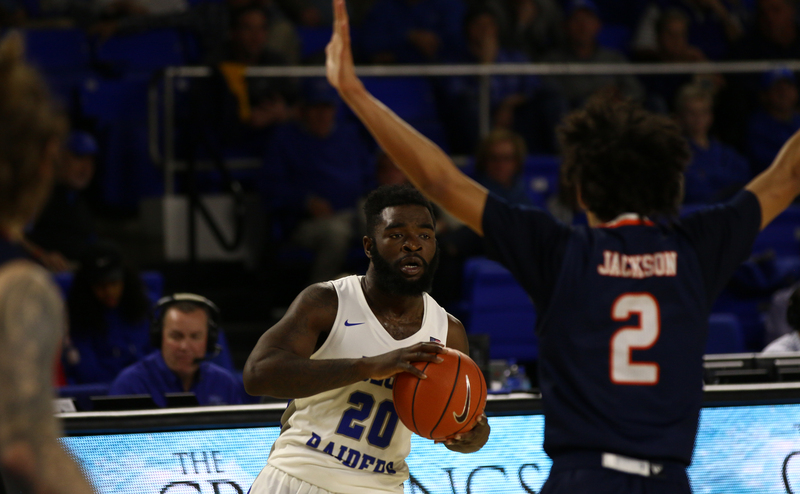 Johnson then leaked out for a big slam dunk to give the Blue Raiders a 15-point lead with 8:32 remaining. 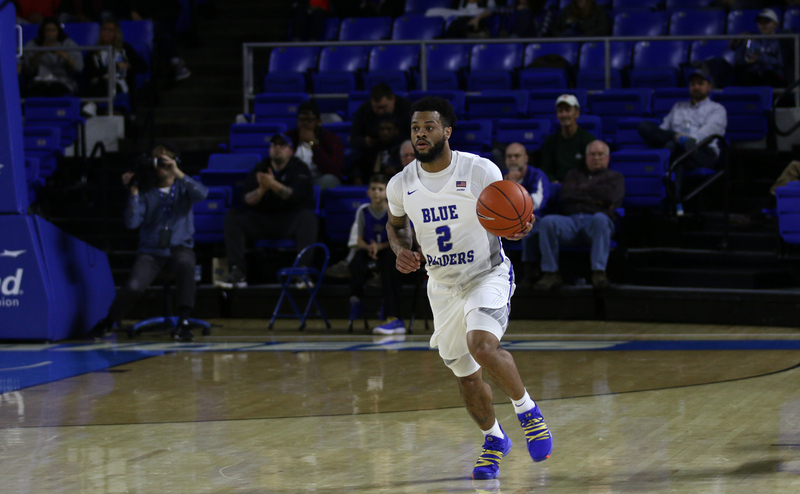 In the final minutes, MT went on a 19-2 run to close out an impressive 75-51 win over over UTSA. Contrary to the first, Davis loved the way his team played in the second. 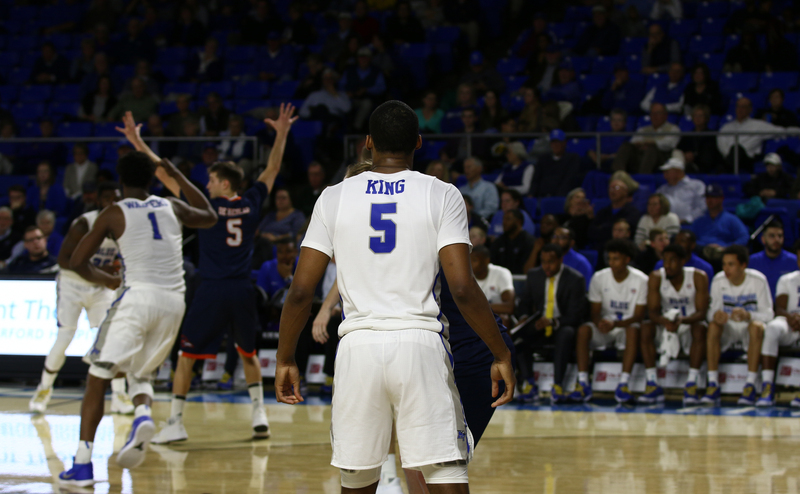 King finished the game with 22 points on 57 percent shooting, knocking down three of his four three-pointers. 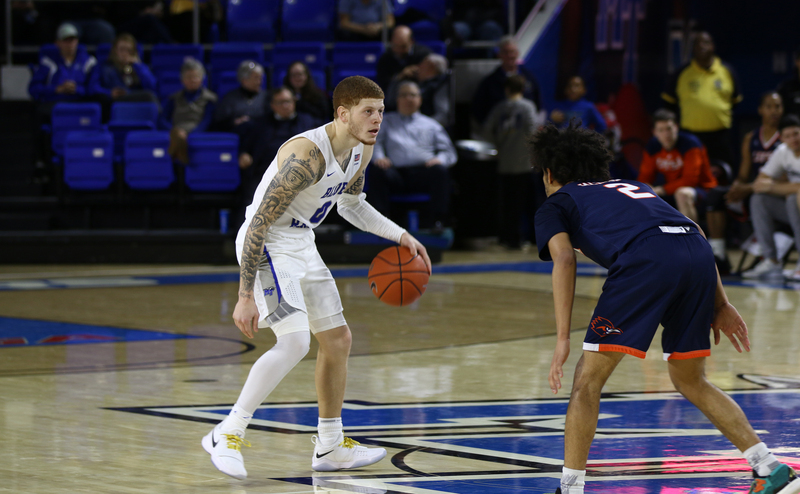 The Roadrunners came into this game averaging 81.2 points per game, but Middle Tennessee put the locks on them from the jump. 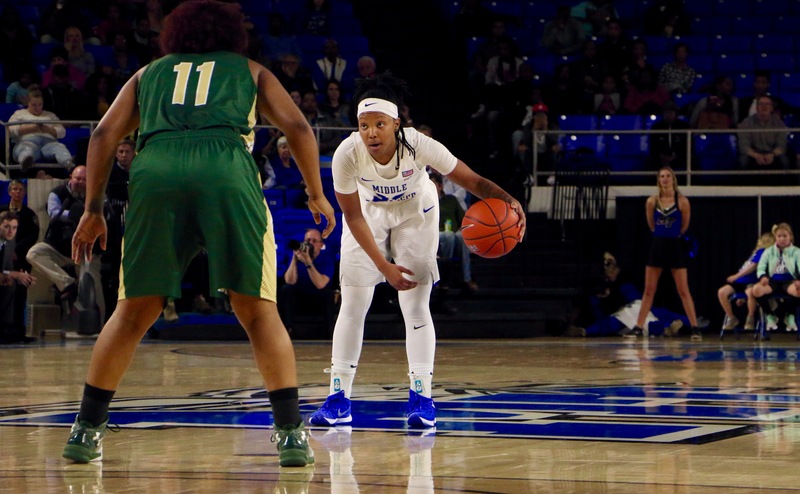 When all was said and done, the Blue Raiders held them to 30 points under their average. “I thought our team throughout the whole game guarded at a pretty high level,” Davis said. In every conference game that MT has played this year, they have held the opposing team under their scoring average. This includes top scoring team Marshall in addition to UTSA. 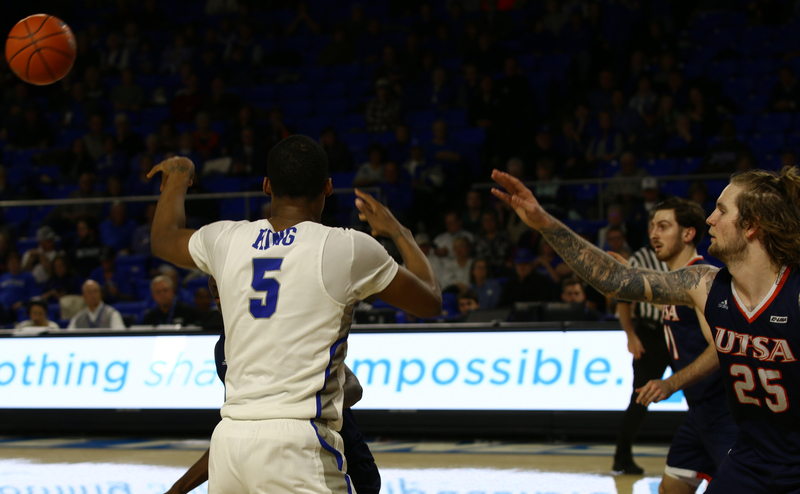 After only tallying two points in a win over WKU, Johnson finished this game with 15 points on 40 percent shooting. “I felt way more active and more comfortable in the game tonight,” Johnson said. 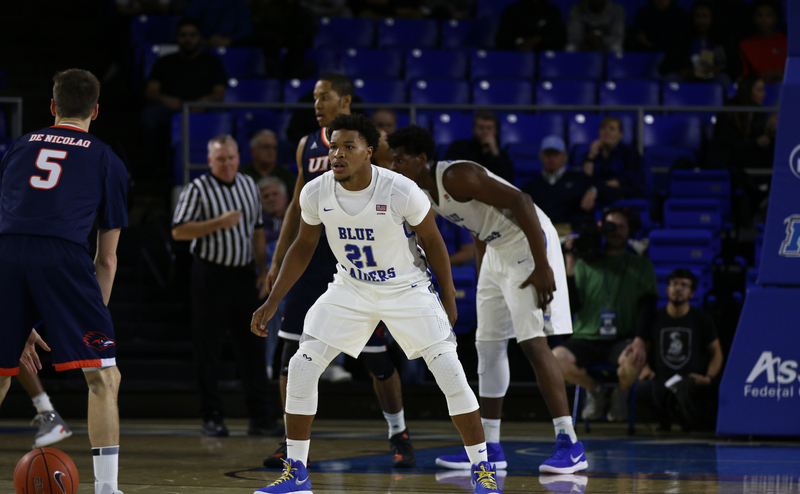 Davis trusted the junior guard to regain his stroke against UTSA, and he certainly has more room to grow. 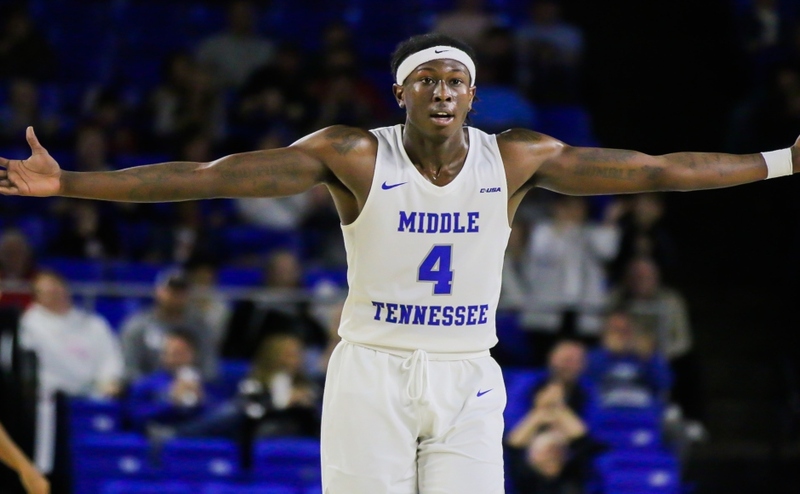 Middle Tennessee pulled down 45 rebounds compared to UTSA’s 26. Senior Brandon Walters led the way on the boards by grabbing 14 total rebounds, including four offensive rebounds. The guards also grabbed their fair share of rebounds. Dixon and Johnson grabbed five boards, while Giddy Potts added six. Coach Davis emphasized the importance of his guards being active on the glass. I think this was a good win for MTSU. I think them winning at home is always a standard that they should have. They definitely did rebound the ball well, and played defense great in the second half. I think Giddy still has to find his rhythm this season offensively though, cause I think he could be averaging more points this season, but he has done a great job at everything else. Nick King continues to make a case for C-USA player of the year after this performance. He has been consistent all season and I don’t see him slowing down anytime soon. Another thing I think that was key is Johnson’s big game offensively. I think he is going to be an x factor in March when it comes to tournament, because Johnson has the ability to score in many different ways. I also think putting him into the starting lineup was a good move as well. Walters played big as well. I think him staying out of foul trouble is the key to his success. 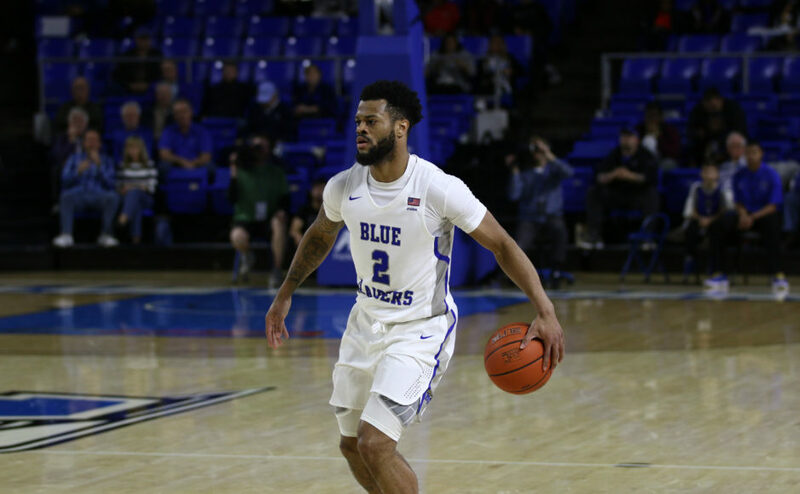 Based on my viewing of the games and being at games like this one, MTSU continues to show that they are a second half team, which is when they usually surge and play their best basketball. 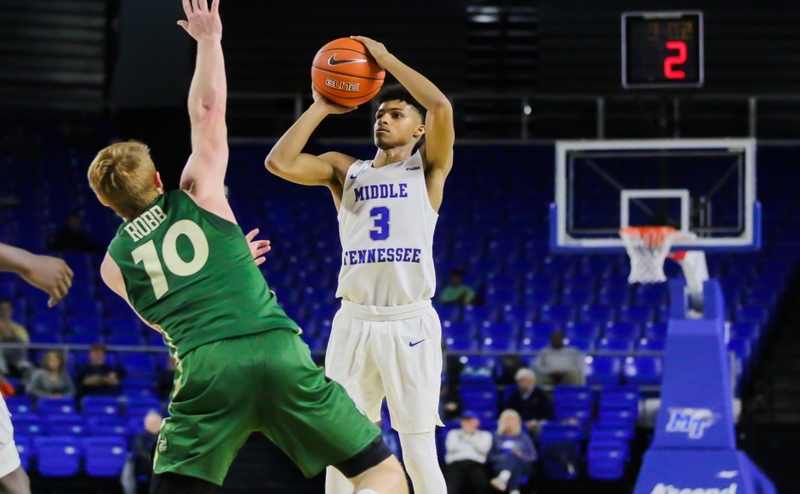 The Middle Tennessee basketball team has been on a roll so far this season especially on the road. Coach Kermit Davis has been trying different line ups to see what would bring some more energy and production the the starting five. I think that inserting Antwain Johnson into the starting lineup was a good move because he brings some energy. 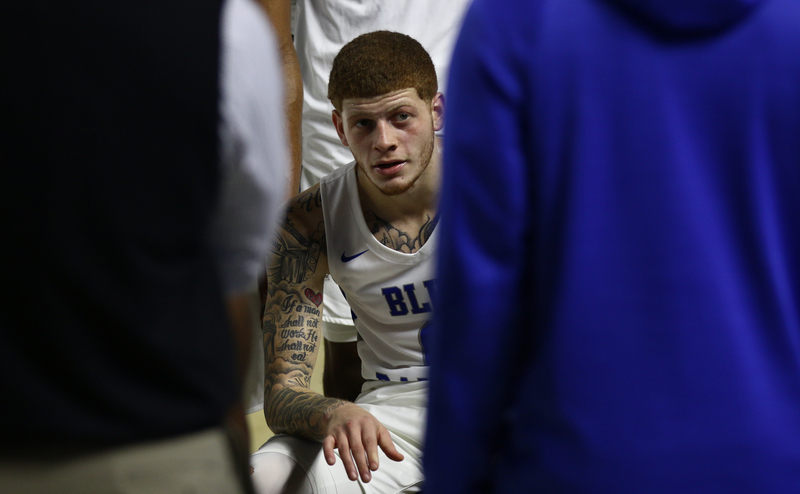 Also, I think that having Ed Simpson come off the bench is good because he’s a senior so you have some leadership coming off the bench with some of those younger guys. 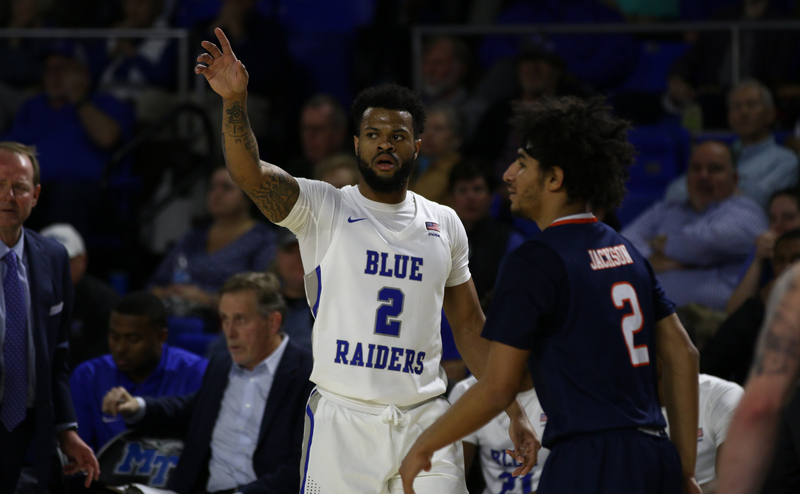 The Blue Raiders have been playing exceptional defense so far this season and it definitely showed against UTSA. 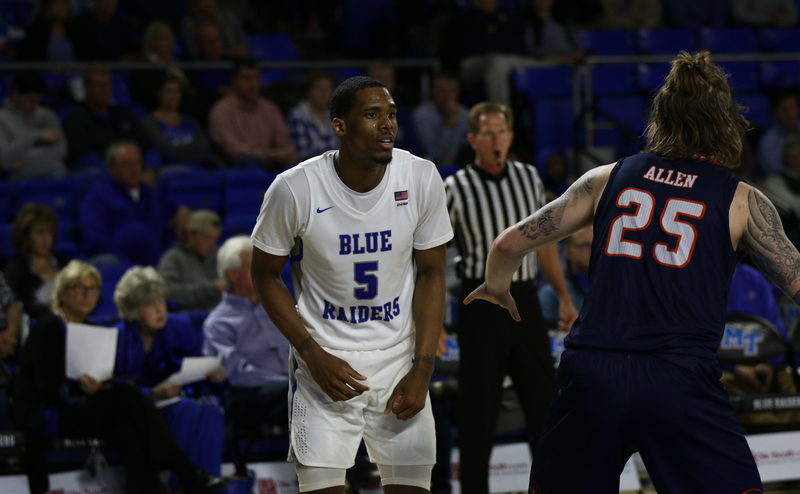 Also, the way that the Blue Raiders have been able to rebound has helped them tremendously throughout this season. Nick King, Brandon Walters, and even some of the guards have made a concerted effort to crash the boards. When your three starting guards, Giddy Potts, Tyrik Dixon and Antwain Johnson combine for sixteen rebounds that is a recipe for success especially when it’s conference tournament time. 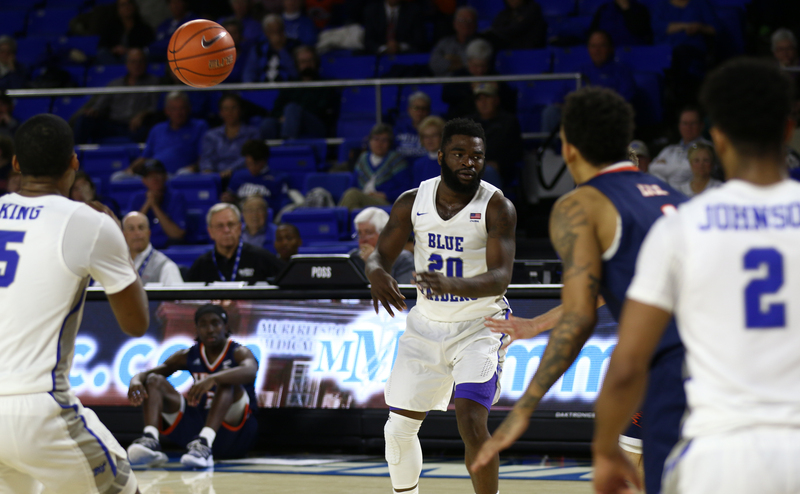 MTSU’s offense was in a better rhythm in the second half because the ball movement was much better than it was in the second half.